via The Pursuit of Happiness: Here I am chatting to one of the best independent journalists around, James Corbett. Best known for his methodical research and presentation, he has a gift for cutting right through to the truth of the matter. When I clicked play and during the first 15 seconds I had a wtf moment. Thought I was in a gentleman’s club. I didn’t realize it was just an ad for a product sold by SatChat. 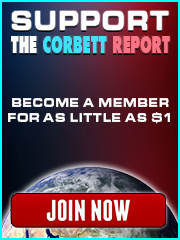 I wonder if the Corbett wouldn’t do well to have a new, monetized YT channel “Corbett Report Live Chat”. He wouldn’t even have to be there, but just do “premiers” of his videos and watch the Superchat’s roll in. “Impulse Buys” are a real thing. I watched TruthStream Media have a premier and they made probably 500$ in 50 minutes. Like a back up channel. Post the video at peak times for his audience before he posts it on his normal channel, then once it’s done, and all the live chatters get their toxicity out and their superchats in, then just make that video unlisted. So there is only the most recent video is visible. Even if he premiered with Pilato that’d be a big boost, Live Chat is the wave of interactive future. Plus, YT would love him more as they take 30% of Superchats. Just a thought, I don’t think it’d be selling out, I see it as a more secure investment than gold or bitcoin. I was in the vitamin and supplement retail sector for over 3 years, speaking with hundreds of people every week. I had ladies pull me aside and confide to me how well one herbal product worked for them when it came to intimate relations. A product which we carried called “Wan Ton” (pronounce it to get an idea) had a good track record. Why the store closed it out, I don’t know, because often we would sell out. Taking Fish Oil supplements, besides its health benefits…many women said that it sure helped with dryness issues to the extreme other end of the spectrum. Just released: the first two parts of an extensive investigation into Extinction Rebellion, and their technocratic collusion. I enjoyed this conversation between pigtailgurl and Corbett. 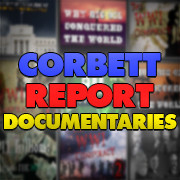 It was a nice, balanced back-n-forth with Corbett allowed to finish his train of thought on a variety of subjects. His synopsis about Big Oil, How, Why, Maurice Strong, etc. was wonderfully expressed. It is important to “repeat the message”. In fact, as he points out, sometimes when I bring up the documentary “How Big Oil Conquered the World” to a new person, they nod their head as if they already ‘know’ what it is about. And then I have to try to tease them into watching it, because I know that they really don’t know what it contains. Something which really struck a harmonic chord with me was the Precautionary Principle and how it relates to the relative importances of things. The Precautionary Principle should be emphasized more often in the open dialogues and in the conversations which we have with others. Bad advice. Anyone familiar with history will know that the Chinese dots would have no compunction in having 1 million dots rounded up and sent to reeducation camps or killed simply for smoking or for any other form of disobedience. The Tiny Dot is nice in theory but a bit unhealthy in practice. « Japan’s Emperor is Abdicating. Here’s What It Means.